As dogs age they lose calcium-binding proteins that protect their brain cells. This protein loss affects their ability to learn, retain memories, think and concentrate Neutricks (apoaequorin) replaces these proteins and helps protect cells during this natural process of aging. Behavior issues related to CDS has resulted in the pet owners considering euthanasia. Pet owners often mistake "Old Dog Syndrome" as a normal result of aging, with Cognitive Dysfunction Syndrome (CDS) there is hope. 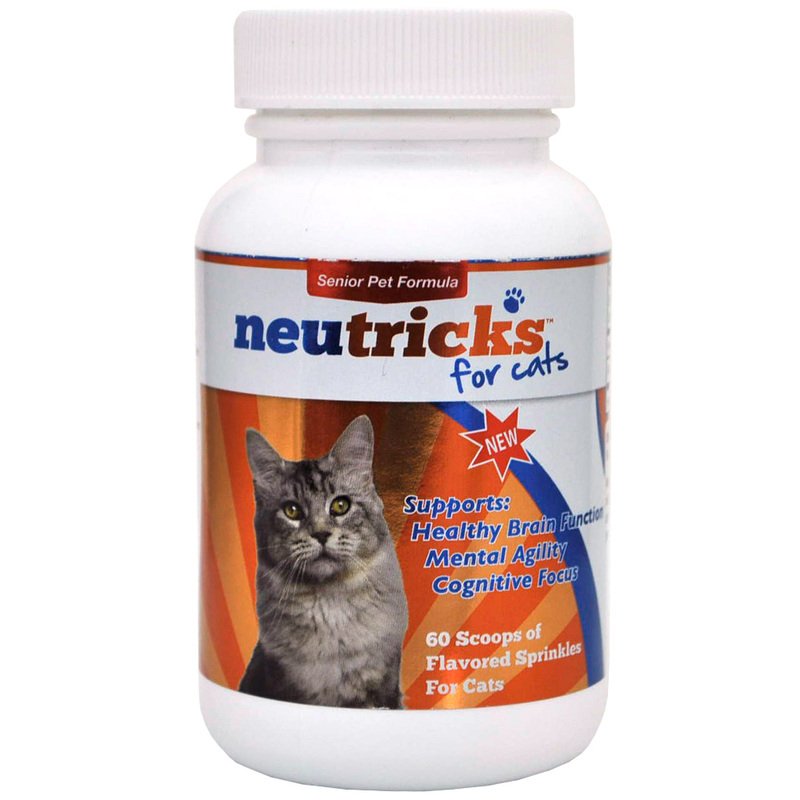 Neutricks for Cats is a supplement designed to support healthy brain function and mental agility in senior cats. Neutricks for Cats is formulated to supplement these proteins, thereby improving your cat's mental health. This bottle includes 60 scoops of flavored powder that is easy to administer to help keep your cat sharp. If your cat is getting on in years then order this senior supplement today! Gary Landsberg BSc, DVM, Dipl. ACVB, Dipl. ECVBM-CA, is a veterinary behaviorist in private practice who is also director of scientific affairs for CanCog. He’s eager to begin adding Neutricks to the mix of prescription medications and supplements used by patients with age-related cognitive decline. I have a golden/retriever mix who has had seizures since she was a puppy and she is now 13 years old. As she has aged her seizures have become more frequent and had gotten to the point she was having several a week. I did not want to put her on steroids unless that was my only choice. A friend of mine suggested trying neutricks. After about 2 months her seizures were reduced to about 2 a month and now after taking neutricks for about 3 years she has not had a seizure in over a year. It helped Dexter and he loves it. When Dexter was neutered his whole personality changed, he would just lay on the couch, would not play, would not go near his doggie friends. 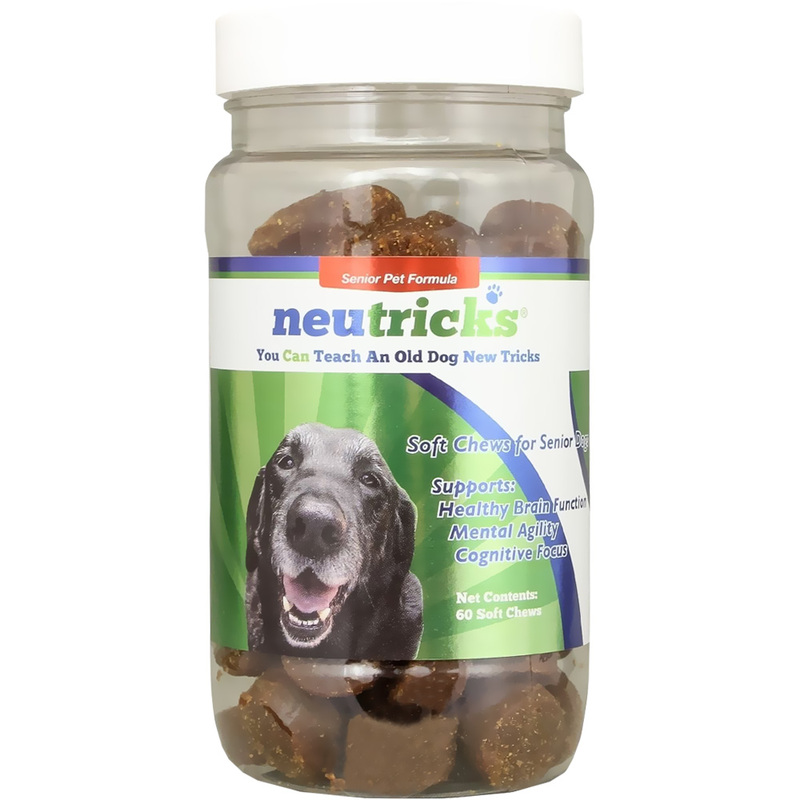 Our vet said to try Neutricks, it works, Dexter is back to being his old self again and he loves it he thinks it is a treat, he has been taking it for about a year and will probably continue for the rest of his life, but it sure works. I was unsure that this would actually help to improve my senior dog's cognition, but I am a believer now! He's more alert and sharper now, where before he'd often stand staring vacantly at a wall for hours. He seems more engaged too. I highly recommend this product! 2018 © NEUTRICKS, LLC ALL RIGHTS RESERVED. TRADEMARKS ARE OWNED BY NEUTRICKS. .